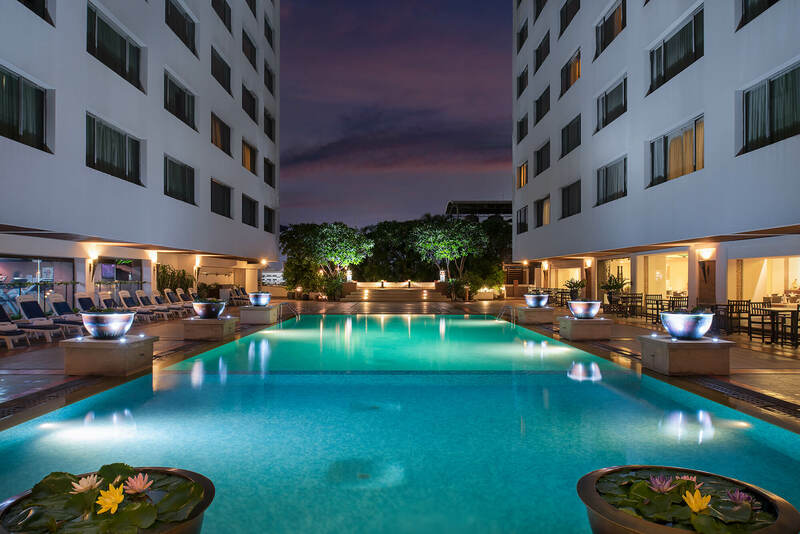 The 4-star services of The Twin Towers Hotel Bangkok offer you a unique wide range of leisure, relax and wellness opportunities. Make full use of its incredible spa centre with fitness area, massages, beauty centre and hairdresser; have a bath in its outdoor swimming pool; savour the best gastronomy in its 4 restaurants; pamper yourself with a relaxing experience in the pleasant lounge bar; celebrate your business events in one of its boardrooms... Everything always with the best personal attention. 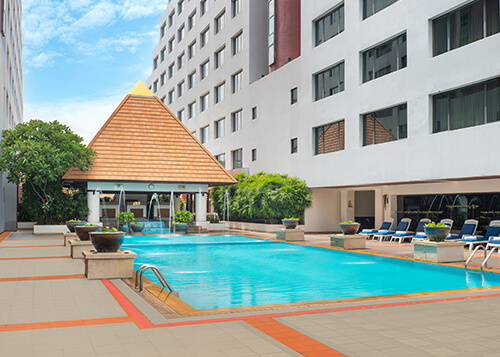 Visit our private water oasis: the outdoor swimming pool of The Twin Towers Hotel Bangkok, where you will be able to enjoy a refreshing bath in a pleasant and relaxing atmosphere. 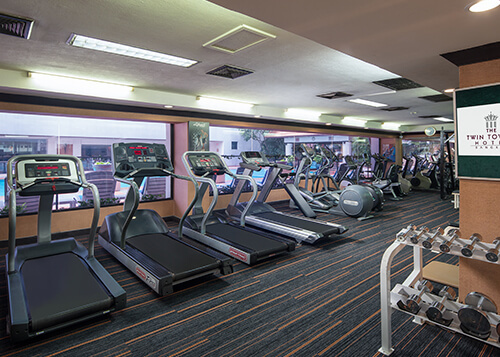 We offer you a fully-equipped fitness and wellness area where you will be able to carry on with your sport routines during your business and leisure trips. 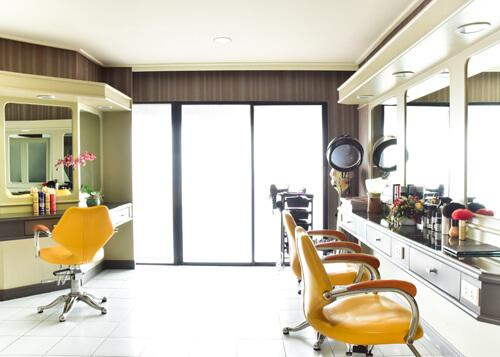 You will always look immaculate at our hotel in the centre of Bangkok with the beauty treatments inspired in the most exclusive Thai techniques and with our complete hairdresser service. 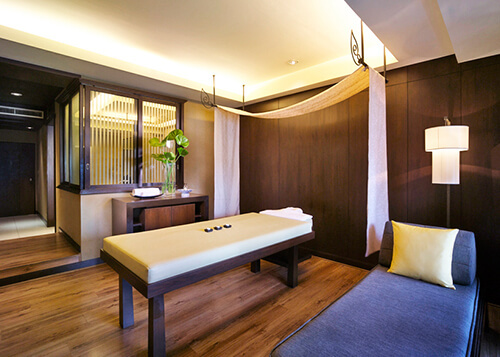 Professional, efficient and express service available for the hotel's guests. 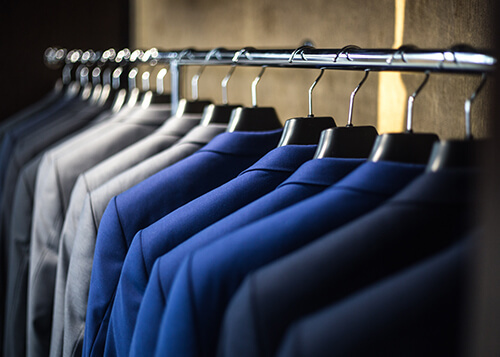 There is also available a dry cleaner's for your most delicate clothes. 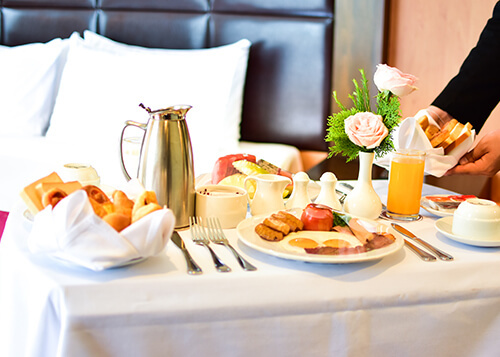 In-Room Dining focuses on high-quality ingredients, skilful preparation and timely delivery. 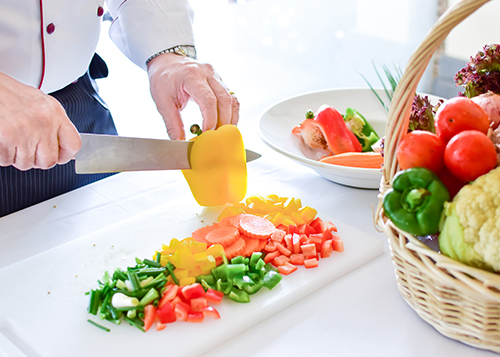 The menu features a great range of local and international dishes all with intriguing flavours, textures and colours that excite the senses.Please let us know if you have any specific dietary requirements. 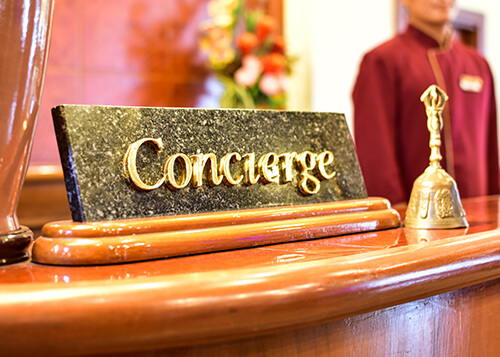 Our concierge team are truly delighted to be able to look after you during your stay with us and we will be more than pleased to assist you in any way. The Twin Towers Hotel Bangkok concierge team will guide you in choosing your new experiences. We hope our expert advice can help you make the most of Bangkok's fascinating past and dynamic present. If there is anything we can do to make your stay more special please contact us at the lobby area. 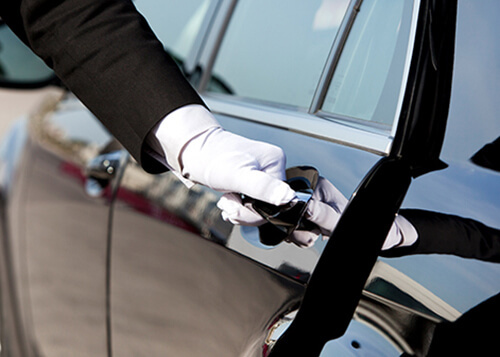 For a seamless journey to and from the airport and other desired destinations, we are pleased to offer the comfort and convenience of our limousine service. We will gladly take care of the rest. Should you require our assistance with anything else ahead of your stay, please do not hesitate to contact us. We are at your service. 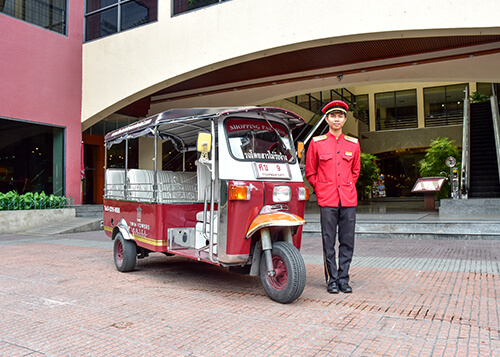 One of our facilities is TUK TUK service. Let us take care of your travel. For futher enquiries, please contact at front desk. 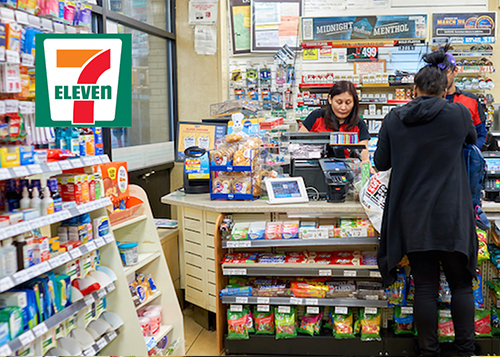 7-Eleven convenience store opens 24-hour, locating the ground level, offers you all kind of daily products, bakery, snack, drinks, alocohol beverages and etc. There is ATM cash machine on site.